Everyone is well aware that the Mediterranean Diet delivers major benefits for human health and also contributes to maintaining sustainable farming and to protecting the environment. It is more than a nutritional guideline; it is a lifestyle and a cultural legacy that in Spain we are lucky enough to enjoy. In fact, UNESCO has recognised the Mediterranean Diet as one of the representative elements of the Intangible Cultural Heritage of Humanity. 1. Using olive oil as the principal added fat. 2. 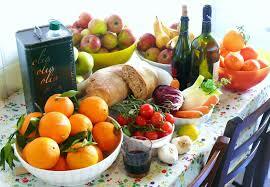 Eating food of plant origin on a daily basis (fruit, vegetables, pulses and nuts). 3. Bread and cereal-based foods (pasta, rice, etc. ), preferably whole-grain, should be present in our daily intake. 4. The less processed, the better the food is. 5. Consuming dairy foods on a daily basis, particularly yoghurts and cheeses. 6. Moderating the intake of red meats (better stewed where possible) and reducing the consumption of processed meats. 7. Eating a great deal of fish and moderating the consumption of eggs. 8. Fresh fruit should be the standard dessert. Sweets should only be eaten occasionally. 9. Drinking a great deal of water and consuming wine in moderation and only with meals. 10. Practising a daily physical activity is an important as the above precepts.